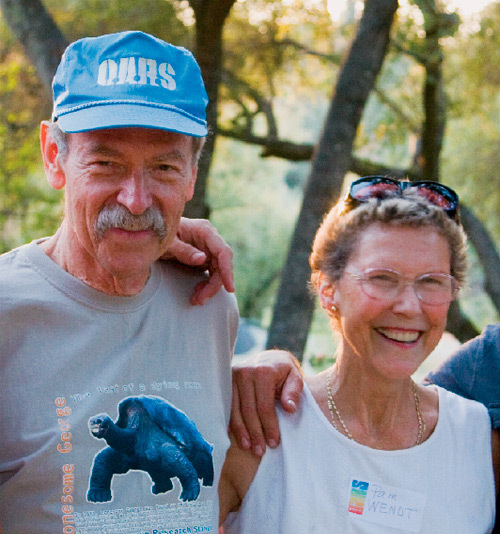 The Pam & George Wendt Foundation (formerly the OARS Foundation) was created by veteran outfitter, OARS, with the vision to connect young people to one of the world’s greatest resources—our wild places. By partnering with OARS, the Foundation has access to river rafting permits, skilled guides and a multi-use camping facility in California. The Pam & George Wendt Foundation provides meaningful guided river rafting and outdoor adventure experiences for under-resourced youth and young adults. Our goal is to provide access to the outdoors in order to help foster the next generation of environmental stewards and active outdoor enthusiasts. We believe that outdoor adventures can empower young people, promote personal well-being, and inspire them to discover a deeper appreciation for our rivers and environment. With the overwhelming prevalence of screen-time and restrictions on outdoor play in many of our urban areas, access to wild and natural places is becoming more difficult. We hope to provide the space and the resources that enable the next generation to explore the value of nature in their lives and in their developing world view. Most importantly, we also want our participants to have fun—as a wilderness experience has the power to inspire, give cause for action and lead to an active, outdoor lifestyle that remains rewarding throughout one’s entire life. Since 2017 the Pam % George Wendt Foundation has provided subsidized outdoor adventure experiences for more that 1000 under-resourced youth. Join us in 2019 to help another 500 under-resourced youth experience the transformative power of wildness. Since 2009, the Foundation has run dozens of successful trips in the communities we serve, consisting of programs for elementary schools and high schools, universities, and various other youth and young adult organizations. From 1-day trips on the South Fork of the American River in California, to multi-day trips through Grand Canyon, the Foundation works with youth to increase accessibility and diversify outdoor adventure spaces, while fostering the transformative and enriching nature of an outdoor classroom. Teachers also have the opportunity to take advantage of new, fresh and exciting educational experiences for their students. How Does the Pam & George Wendt Foundation work? 1. The Pam & George Wendt Foundation is funded through individual donations and grants. OARS also donates 15% of all purchases made through their online retail store and 100% of royalties from short films such as River of Eden, Martin’s Boat, 62 Years, and Return from Desolation. 2. 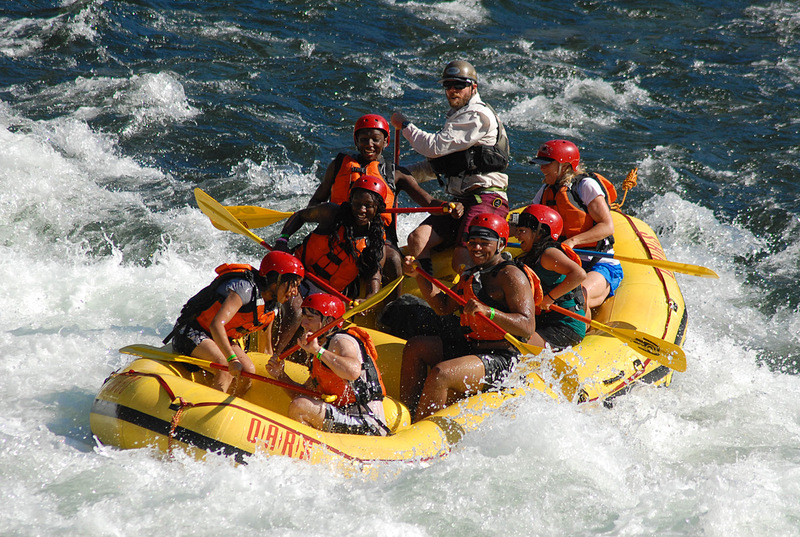 OARS connects with existing groups providing services to under-resourced youth to offer subsidized rafting trips and other guided adventures. Groups typically only pay for their own transportation to and from the meeting location for the trip, plus any other pre- or post-trip expenses. In some cases, the Foundation may charge a small fee for the trip. 3. OARS runs the trips at cost for the operational components—guide wages, food, and transportation costs. The Foundation then reimburses OARS for those direct expenses. OARS does not make any money operating trips for the Foundation and OARS donates all administrative staff time plus the use of permits and equipment needed to make these trips possible. The Pam & George Wendt Foundation is a California 501(c)(3) nonprofit corporation. The Pam & George Wendt Foundation is committed to getting more than 500 under-resourced youth on river trips this year. In addition to offering trips for youth, the Pam & George Wendt Foundation is proud to work with several other organizations to offer multi-day river trips throughout the Western U.S. for our military service members and veterans. The Pam & George Wendt Foundation admits participants of any race, color, national origin or ethnic origin to all the rights, privileges, programs and activities generally accorded or made available to participants. It does not discriminate on the basis of race, color, national origin or ethnic origin in administration of its educational policies, admission policies or scholarships.